Baby with cradle cap was ‘shedding skin like a snake’ and unable to sleep until his mother found MooGoo’s ‘miracle £12 Scalp Cream! Rosalie Leung, 34, from Melbourne was at her wits’ end watching her three-month-old son aggressively scratch his head and face until she discovered MooGoo’s £12 Scalp Cream, which she claims has ‘saved’ her son’s skin! Rosalie says her son Jayden was so distressed, he was losing sleep and everything she had tried failed, until she found MooGoo. ‘Jayden’s scalp slowly turned into what could only be described as dry, scaly snake skin – I tried everything to fix it,‘ said Rosalie. 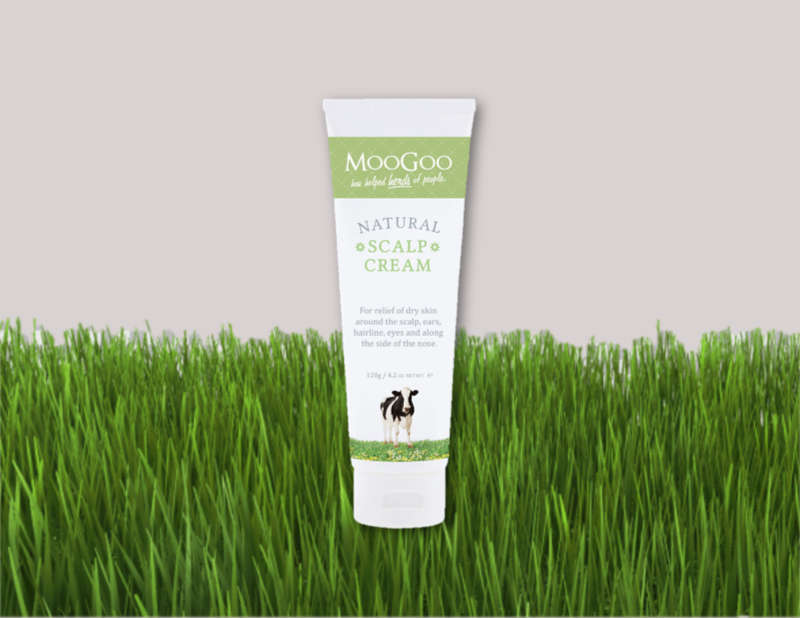 After discovering MooGoo’s Scalp Cream, ‘it wasn’t long until the back half of his scalp had completely cleared and then soon he was virtually flake free.’ Despite trying many oils and remedies, MooGoo’s Scalp Cream was the only solution that worked, helping her son to sleep better during the day. What is cradle cap? Common in newborn babies, the condition has been known to affect up to 70% of newborn babies. Oily areas of the skin like the scalp, hairline, neck, ears, eye areas and along the side of the nose and mouth become red, dry and itchy, sometimes yeast on the skin can become more prevalent and cause irritation. Read the full story on the Daily Mail here – WARNING GRAPHIC CONTENT.